After a portable crib for travel or maybe even for home purposes? We know how challenging it can be to get a baby too sleep (don't tell me your baby sleeps like a dream - I don't want to know!). And I'm sure that you are aware that it might be even more challenging to get them to sleep in new locations. That is why we love travel cots so much! Your baby will sleep so much better when they sleep in a familiar crib. A travel cot for baby is handy for not only for vacations with your baby, but it is also really handy for when you visit friends or grandparents as well. In this guide, we will outline features that we love of each, as well as share any negatives that we found of the baby travel cribs as well. I hope this guide to choosing the best travel crib for baby and toddlers will help you choose the best baby travel bed for your family. Should you Travel with a Travel Crib? If your child is less than two years old, a travel crib is highly recommended. 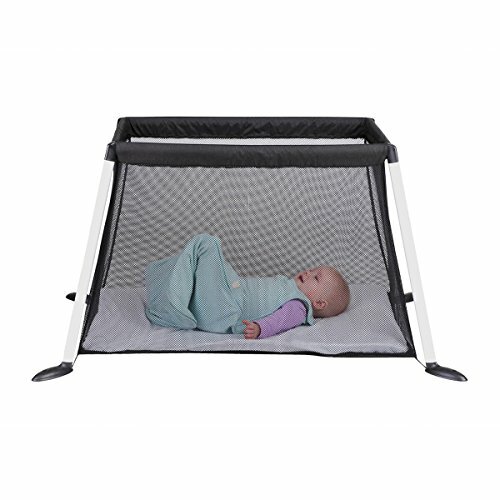 It is a safer option for your baby as it keeps them contained in a safe sleeping environment that is age appropriate. The most popular travel crib for babies from newborn age is the BabyBjorn Travel Crib Light. Let's be honest here, most hotels have baby cots available for you to use. So why spend the money and carry along one extra piece of luggage? Your baby will have a sleeping space that they are used to. It can be challenging for babies to fall asleep in unknown spaces and let's face it, we want to relax on holidays, not deal with tired babies who are struggling to fall asleep. Using the same crib wherever you go, will mean that your baby will get better sleep. You know that the cot will be the right size for you baby's age. We recently went on a trip to Lombok and one of the hotels gave us a crib that was suitable for newborns. It was TINY! Avalee was only 4 months, and wash really squashed in the crib. Vietnam hotels also have tiny cots, their cots are probably more suitable for 1 year olds, because our 2 year old had to sleep curled up in order to fit in the cot. You know that the crib will be safe for your baby. On more than one occasion we received cots from the hotel that would collapse as soon as our daughter pressed against the side. Needless to say they were useless and pretty dangerous to use! You know that you will have a crib for your baby. One a few occasions we have pre-requested a cot on the booking form only to arrive at the hotel and be told that they only have one cot and that another family is using it. Our baby doesn't normally co-sleep with us, so it was a nightmare. You know your cot is clean. Again we can tell you some horror stories about being given mouldy and dirty baby cots. So gross! If you purchase the best baby travel beds, you will find that it can double up as a safe playard for your baby - hallo downtime! So should you travel with your own baby travel crib? - Uhmmmmm hell yes!!! Below is a comparison chart of all the best travel baby beds; which are mentioned in this article. You can then read my travel cot reviews below featuring both compact traveling cribs, as well as a full size travel crib for older babies. The best portable baby cot is the BABYBJORN Travel Crib Light. Not only is this cot lightweight, easy to set up and easy to carry, but it is also comfortable for babies. The cot is suitable for ages 0-3 years which means that it will last you for years to come - making it a worthwhile investment. If you are after a great size cot for your toddler, this would be our pick as well. Hop over to read the reviews from other parents on Amazon. We all know that newborns sleep better in smaller cribs. Smaller cribs make them feel more safe and secure. 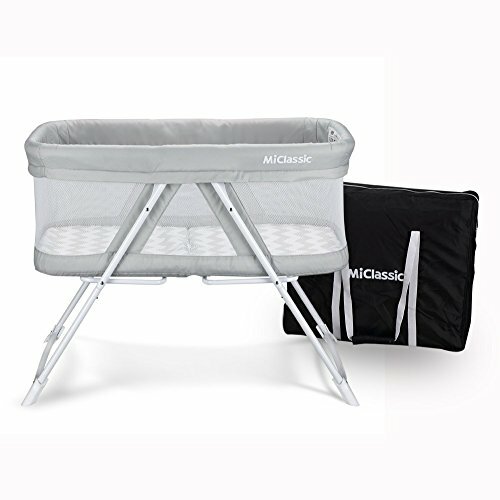 If you are chasing a portable crib for newborn age, we really love the MiClassic 2in1 Rocking One-Second Fold Travel Bassinet. 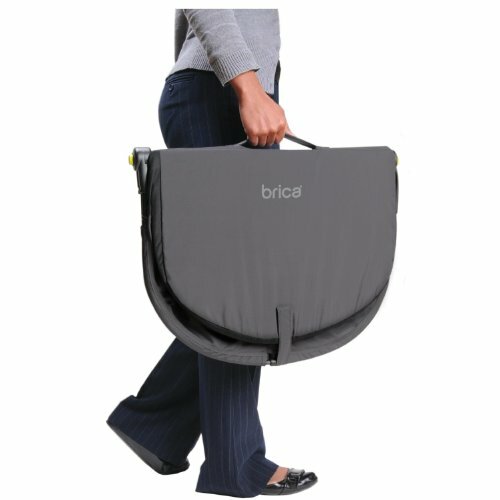 This option is fabulous for those who will be traveling by car, but due to its weight (15.6lb) we suggest you grab the BRICA Fold N' Go Travel Bassinet if you are traveling by plane instead. Hop over to read the 2 in 1 Rocking Travel Bassinet reviews from other parents on Amazon. Hop over to read the Brica Fold N' Go reviews from other parents on Amazon. So what exactly is the difference between a travel cot and a portable cot? A travel cot is smaller than a portable cot. So that they can be used on planes and can easily be squeezed into the boot of a car with all your other luggage. A travel crib can fold up. Travel cots need to fit into carry-on luggage & in car trunks. Baby travel beds are lightweight. 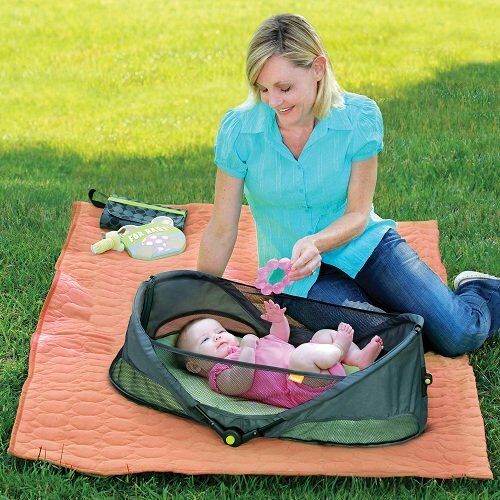 Travel cots need to be lightweight enough to be carried around easily. The best travel cot 2019 has on offer, will tick the boxes above, as well as offer many of the same benefits (safety and comfort) as a regular portable crib. 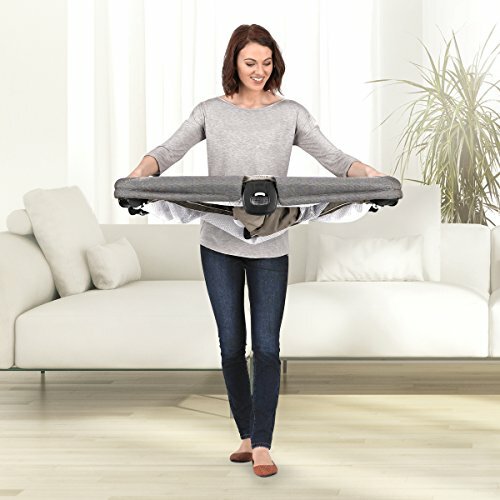 You might have a Pack 'n Play at home that you are considering taking on your trip. So what exactly is the difference between a travel crib and a Pack 'n Play? A Pack 'n Play is typically a lot bulkier and heavier than a well-made travel crib. Which means that it is impractical to pack for a trip overseas. As a positive, some of the infant travel cribs listed below can double up as a Pack 'n Play, whilst still giving you the lightweight, compact benefits. 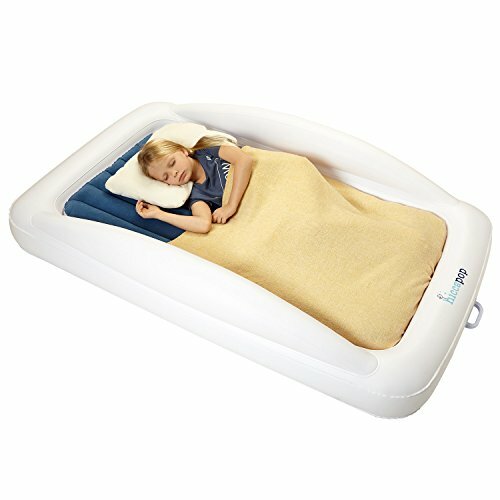 Toddler travel beds are designed for kids who are 2+ years old. They are a great alternative for a traveling baby bed for active toddlers. 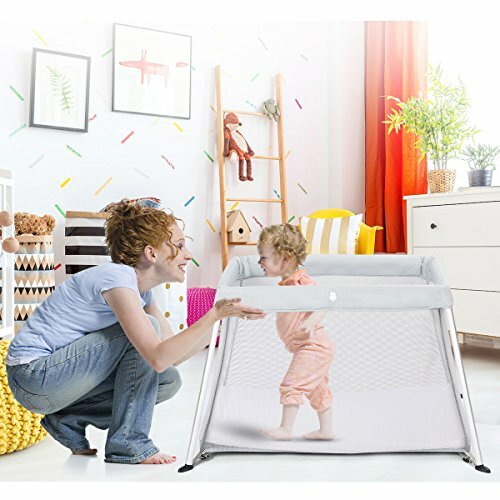 Whilst many of the baby travel cribs listed below can be used for toddlers, a travel toddler bed is perfect for toddlers who have managed to work out how to climb out of the cribs. A bed is typically similar to a camping or roll-out mattress. Our selection below is suitable for those looking for travel beds for babies or a travel crib for 1 year old. If your toddler is still happy and safe in a crib, then we highly recommend you keep them contained in one of the cribs below as well. But for those who have climbers, best to go with a baby sleep travel bed instead. 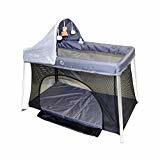 If you are planning on traveling a lot, you will need to invest some dollars in order to purchase a light travel crib that is also compact, easy to fold, safe, and also comfortable for your little one. You might also like to purchase a crib that will last for longer than the first year as well. Let's look at each of these criteria more closely, so you can make a smart decision on which crib would be the best travel bed for your baby. 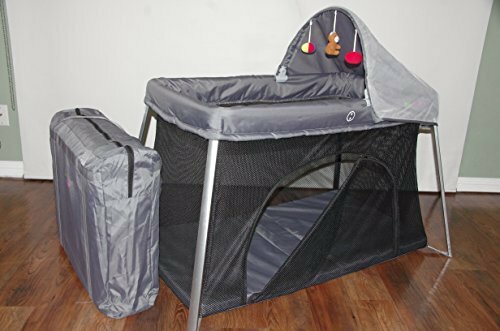 If your baby is still little, and you typically don't travel very often, you might want to grab one of the cocoon-type cribs. They are super light and you can easily place the cocoon crib in between you or on another bed (or in the hotel cot). They are very compact travel cribs. Once your baby moves around, you will of course want to invest in something larger in size. It also makes sense to invest in a travel crib that folds out very much like a portable crib does, if you travel a lot. 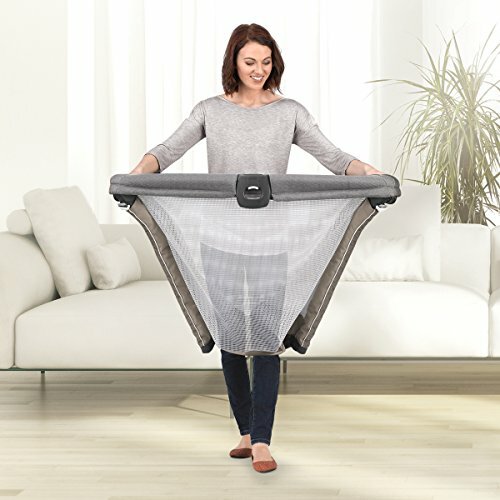 They weight more than a cocoon-style crib, but they will last you a lot longer. 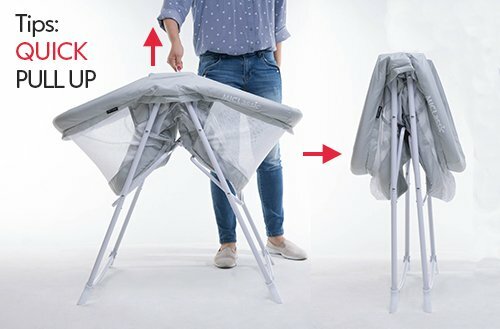 The size of your folding travel crib is really important. It needs to fold up small enough that you can easily transport it around. 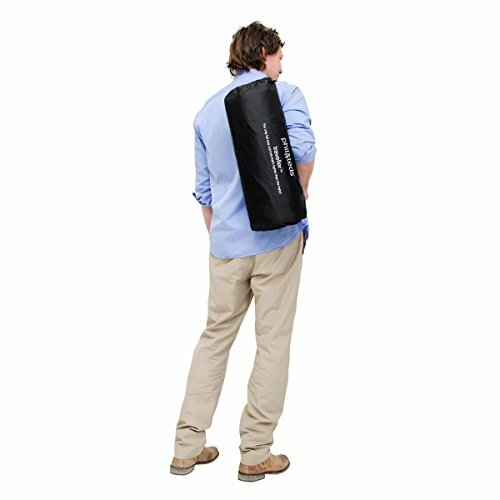 It also needs to be lightweight so that you can carry it easily. In order to find the best lightweight travel crib for you, we have shared weights for each of the travel cribs in the table above. Make sure to know down what size the cot is when assembled as well as when it is folded up. The best travel bed for infant use should be able to fit easily in your suitcase. Another important factor when it comes to size is to ensure that the crib will actually be large enough to fit your baby comfortably. If you travel frequently, it only makes sense to invest in a crib that will last for at least a few years. Some travel cribs are suitable for newborn babies only, but many can be used for 2-3 years. You will find though, that even though many of these cribs stipulate that they can fit kids up to 3 of age, it might not be best suited for that age bracket. Once your toddler is 2, I would suggest that you do some research to find the best travel crib for toddler use. The crib should allow your child to move around, but it should also be sturdy enough to keep them contained. You have to be really careful when it comes to travel cribs. As many might be super light and super cheap but have thin flimsy mattresses. You also want to buy a crib that offers great air flow. So when you're trying to pick the best travel cribs for babies or toddlers, then it is important to make sure that it ticks both the boxes for comfort as well as air flow. Of course safety should be the most important factor to consider. We have only included baby travel cots that have met the American Standards in terms of safety. When it comes to safety is so important to buy a crib that fits with your baby's age and activity levels. Especially important for toddlers who try to climb out of their cribs. Also look at how snug the mattress fits into the cot, we don't want the mattress to be loose or have gaps. And think about how the sheet will be held in place as well. The best travel baby bed should be super simple and easy to set up, as well as fold up. Make sure to have a look at how the cots fold up, some are super easy whilst others require some fiddly assembly. 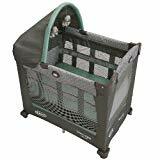 Below are our travel crib reviews of the best travel cots 2019 has to offer. We share both the positives as well as the negatives of these top rated travel cribs, to help you decide which crib would be the best for your baby and your travel-lifestyle. 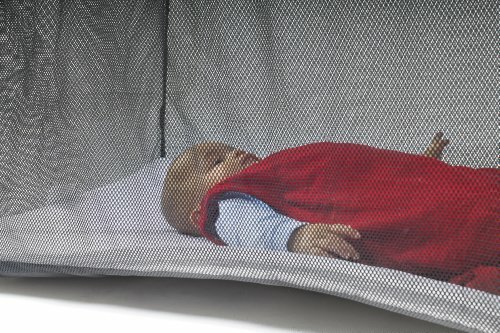 The BabyBjorn Travel Crib Light Silver is one of the best selling travel cots. And one by a well-known baby brand as well. We love that this cot will last you all the way from newborn till age 3! 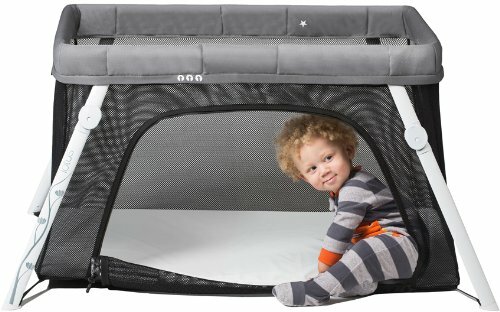 This travel cot is nice and lightweight. It is easy to set up and fold away and they have made it easy to carry as well. We love that the sides of the crib is made from a soft mesh material, the mesh is fabulous and allows air flow to circulate through the crib. The base of the cot is lovely and sturdy to ensure that your baby has a safe sleeping environment. And the insulated mattress means that your baby will be comfy as well. 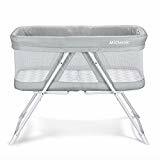 Assembled: 32 x 44 x 24"
Folded down in carry bag: 19 x 23.5 x 5.5"
>>> Click here to check the current price on this crib or click the button below. Another fabulous buy is the Phil and Ted travel crib. 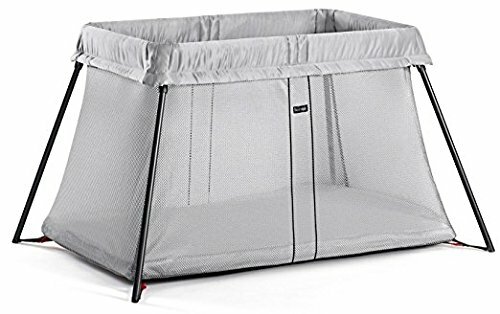 Travelers love this cot, because it is the lightest travel crib if you are chasing a full size travel crib rather than the cocoon or bassinet size ones. 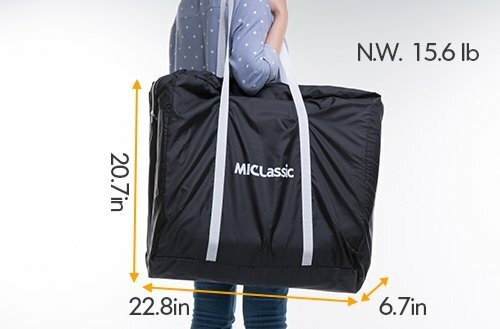 This travel portable crib has plenty of room to move. It is recommended for newborns till 3 years old, so it is a great option as one of the best travel cribs for toddlers as well. The sides are fully mesh, allowing nice airflow to circulate through the cot. You also have the option of zipping off one of the sides, we don't really ever use this functionality, but hey it is there. The mattress is a lovely and soft, self inflatable mattress. The Phil and Teds Portable Travel Crib folds down and packs into a compact carry bag that you can carry over your shoulder. The crib can also be outdoors, for example at the beach, as it has a UV mesh top that offers sun protection. The negative? You will need to practice the assembly and disassembly before you go. Packed Dimensions: 27 x 10 x 8"
Sleeping Space Dimensions: 45 x 22 x 26"
Not as easy to assemble and pack up as the BabyBjorn Travel Crib. >>> Click here to check the current price on the Phil & Teds Travel Crib or click the button below. Here is the best portable baby crib that can also rock! I know our baby loved being rocked in her bassinet when she was still little, so I'm loving this option for those who have newborn babies. This 2-in-1 Travel Rocking Bassinet can open and fold in 1 second! All you have to do is pull on the 'quick pull up' handle to fold (kinda similar to how baby joggers fold up). The mini travel crib comes with a carry bag to make it easier to carry from one destination to the next. 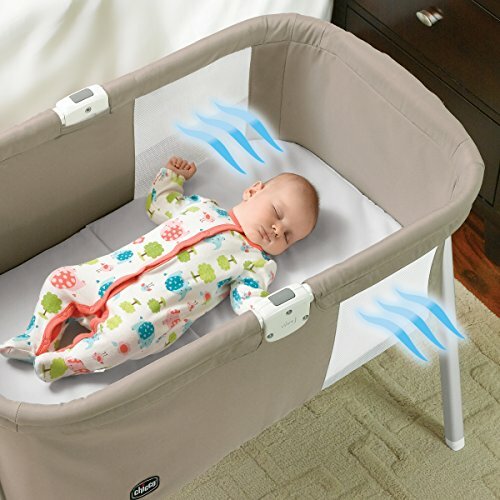 The bassinet has a stationary mode for sleep-time and a rocking mode for when you need to soothe your baby into sleep. It comes with a mattress pad and a detachable waterproof cover. 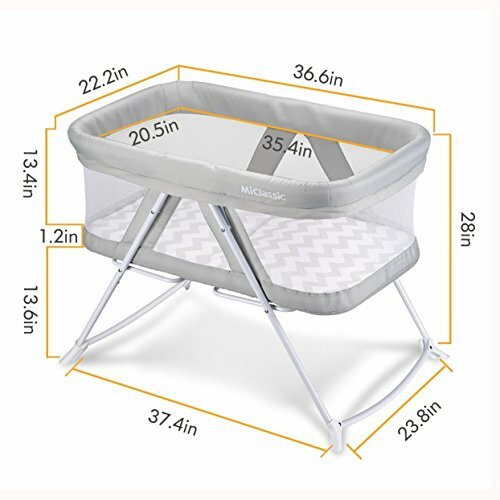 Packed Dimensions: 21 x 23 x 7"
Sleeping Space Dimensions: 37 x 22 x 28"
>>> Click here to check the current price on this travel bassinet or click the button below. The Lotus Everywhere Travel Crib by Guava Family is very popular as it combines a travel crib for sleeping with a playard for confined play into one handy cot. This crib might just be the best portable crib 2019 has, as it only takes around 15 seconds to set up!! Effortless set up when you are tired or jet lagged is definitely a bonus. 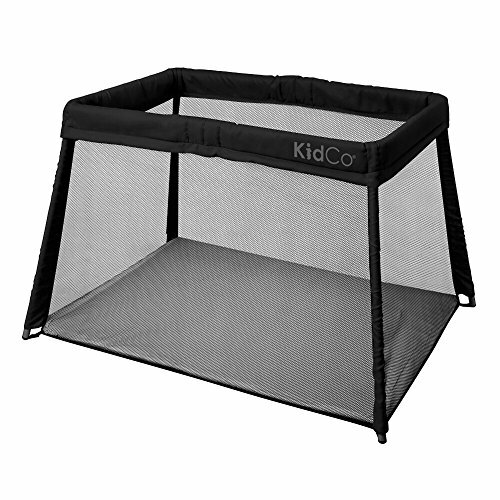 The clear mesh sides allow for that all important airflow and you can also unzip the one side if you wish to allow your little one to crawl in and out of their crib for playtime. The Guava Family Lotus Travel Crib has been thoroughly tested for chemical emissions and is certified to the GREENGUARD GOLD standard! We love that the crib comes with a backpack (with convertible straps) style carry bag. Packed Dimensions: 23 x 12 x 8"
Assembled Dimensions: 42 x 24 X 25"
>>> Click here to check the current price on the Guava travel crib or click the button below. 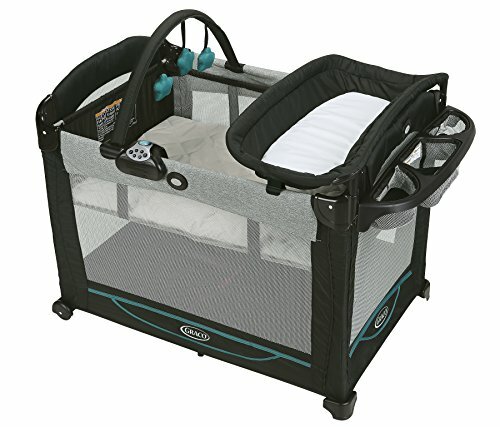 The Graco Travel Lite Portable Crib is the a great option for those looking for a travel crib with bassinet combo. It features a 2-level bassinet that adjusts as your baby grows. The bassinet is also removable for napping purposes. Once baby has outgrown the bassinet stage, you can simply leave it behind to lighten the load. The quilted mattress pad is comfy for baby and the mesh sides allow for plenty of air circulation. We love that you can quickly and easily convert the crib into a portable playard. Folding is easy with a simple push-button function. And it comes with a carry-bag for no-fuss travel and storage. On the negative side, you 'pay' for the additional features in weight. The Travel Lite Crib with Stages is the heaviest travel crib on our list today. Packed Dimensions: 33 x 11 x 9"
Assembled Dimensions: 33 x 23 x 32"
The heaviest crib on our list - 18.5 lbs. The BRICA Fold N’ Go is the best mini crib and is the best travel crib for newborn babies. 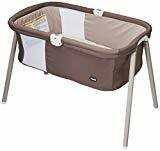 It is incredibly lightweight (2.4 lb) and is suitable for babies aged 0 - 1 (although I would move my baby to a more supportive crib once they start moving around). The mesh panels and breathable fabric allow for ample air circulation. 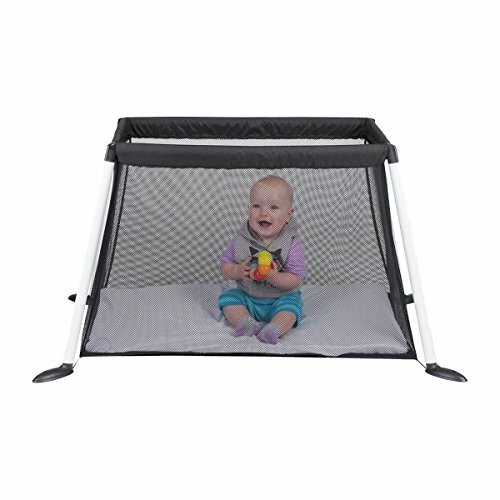 The crib is very safe to use as it has a T-lock frame, which is sturdy and safe. Due to its size and weight, it might just be the best travel crib for flying. Simply pack it into your hand luggage and you are ready to go, or fold it up and carry it by the handle. 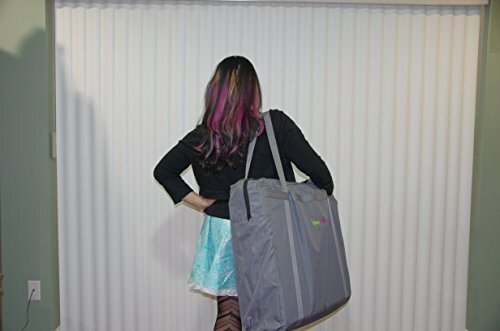 Assembled Dimensions: 9.5 x 21 x 12.5"
Super lightweight (2.5 lb), simply fold and go. Suitable for babies aged 0-1 only. 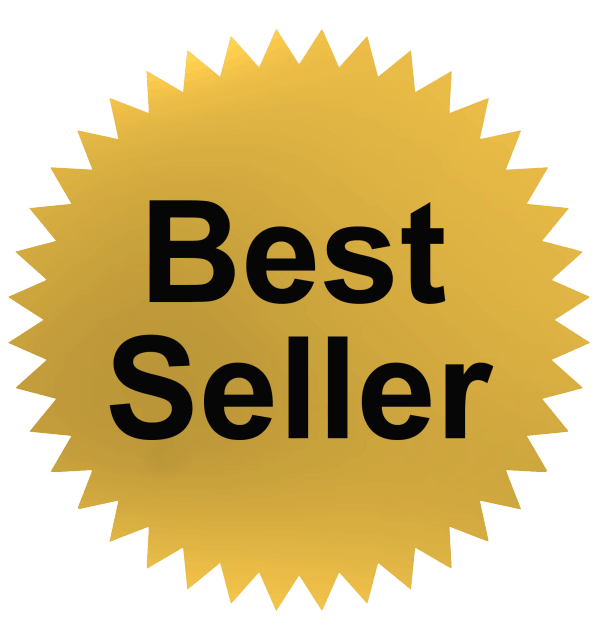 >>> Click here to check the current price on this travel baby tent or click the button below. The Pop-Up KidCo Travelpod is designed for babies and toddler aged 1 - 3 years old. We love it because it packs up so compact that we can even fit it in our suitcase. 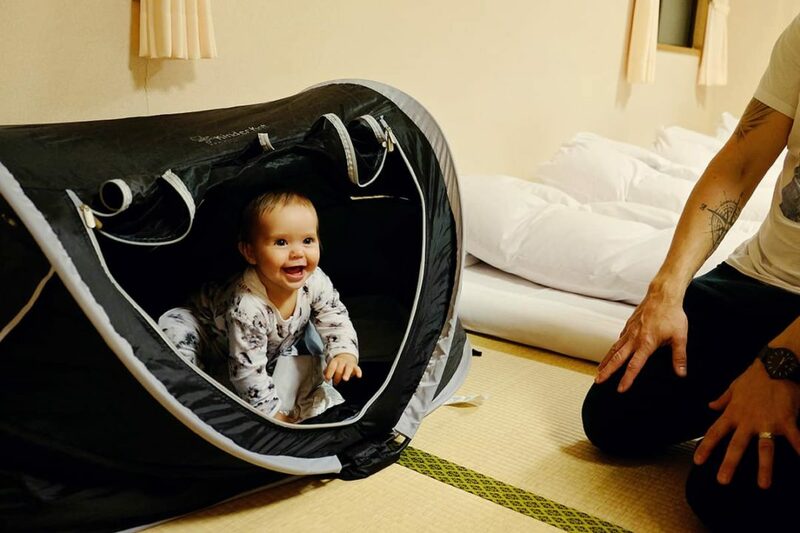 We used this small travel crib during our travels in Japan - because their hotel rooms are TINY! The KidCo PeaPod Travel Bed weighs only 2.5 pounds and pops up as soon as you let it out of its carry bag. The lightweight mesh construction provides air flow. We also love that the cribs includes a safe, Micro Lite sleeping pad that securely snaps to the tent which makes it more comfy for baby. Important to note that this crib is for sleeping only. There really isn't much space in there for playtime. I also don't recommend it for anyone who has a baby who still wakes up a lot as it can be annoying getting down to the ground and unzipping the tent to grab baby for a feed. The ElanBambino Portable Crib is a great option as a travel crib. These travel baby cribs are lightweight (11.5 lbs) and comes with both a mosquito net, a sunshade canopy, and a shoulder carry bag. As with the other popular cots, the ElanBambino can be used as both a crip as well as a playard. It has a zippered front to allow baby freedom to explore and play. The mattress that the crib comes with is nice and thick (1") and is custom made to fit in the crib perfectly. It is the best portable crib for toddler because it is larger in size in comparison to other cribs on our list. Packed Dimensions: 6.5 x 22 x 23"
Assembled Dimensions: 49 x 29.5 x 27"
>>> Click here to check the current price on this cot or click the button below. 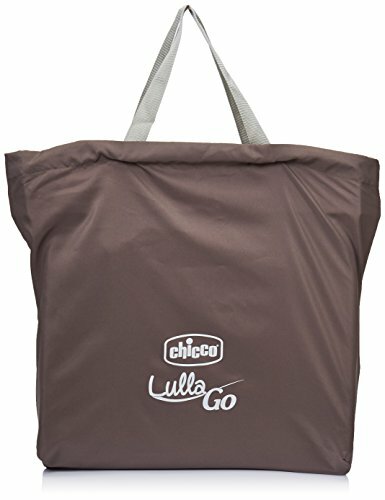 The Chicco LullaGo Portable Bassinet is great for home, vacation and for visiting family and friends. The bassinet is great for babies from birth up to 20 lbs (or until they start to push up on hands and knees). The crib can be disassembled and folded in under a minute and comes with a handy matching carry bag. The crib is slightly on the heavy side (17 lbs) so might not be best if you are expecting to carry it for longer distances. We love that the crib comes with anti-slip feet and that it sets-up into a safe and sturdy bassinet. The fabric is soft and the mattress is comfortable. There are also two mesh windows to help with ventilation. Folded Dimensions: 23 x 20 x 8"
>>> Click here to check the current price or click the button below. This little crib is great for travel when you have a newborn baby. The crib is super lightweight (2 lbs) and easy to use with a simple fold-and-go design. 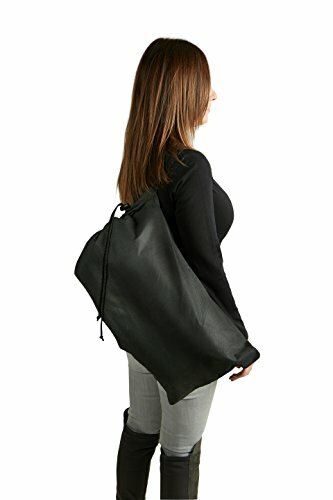 We love the drawstring carry bag that you can throw over your shoulder and carry with ease. The crib is also great for having to change diapers whilst out and about. The crib also has extra pockets on the side where you can keep handy diaper supplies. The padded mattress pad is detachable and machine washable. I would only use this crib for newborn babies. Once your baby can roll-over or push up on your arms, I would recommend that you invest in a more sturdy crib design. Only practical for babies who can push up yet. Have you read through all our portable baby bed reviews and you are still not sure which one to buy? I recommend you invest in a crib that will last you for as many years as possible. 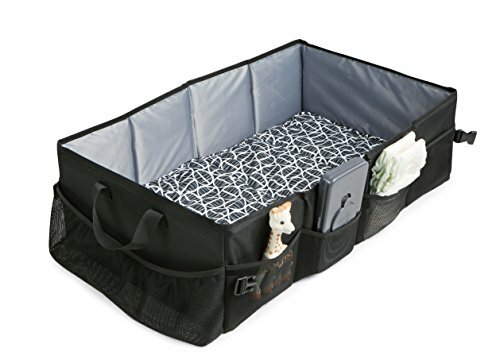 Choose a travel crib that is 12 lb and under. And make sure that it is easy to pack up and carry. Click to see a list of handy baby travel products to take along on your holiday with your baby. After some gear for yourself? Click to see our favorite traveler gear. 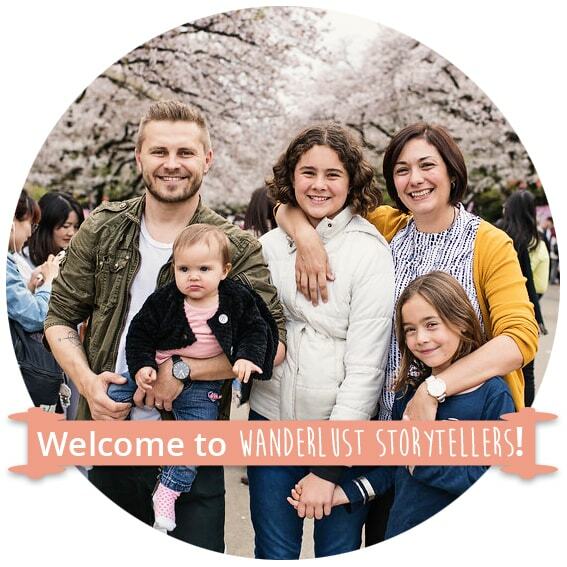 * Disclaimer: Wanderluststorytellers.com is a participant in the Amazon Services LLC Associates Program, an affiliate advertising program designed to provide a means for sites to earn advertising fees by advertising and linking to amazon.com and other Amazon sites. Thank you for reading our best children’s luggage buyers guide!